Craig and Darren team up on a photography holiday abroad. Darren and course attendee, Craig, team up this month for a gallery of Fantasia images. 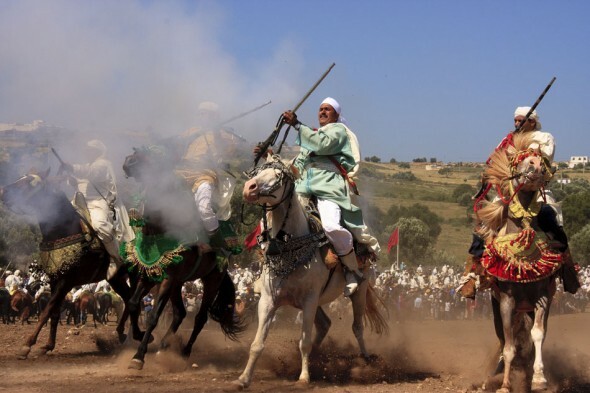 Fantasia is the highly competitive equestrian tradition of charging with horses followed by the firing muskets. Only by the good fortune of my local baker mentioning the event taking place near Essaouira that same morning, we were able to include it in Craig’s week long photography course. Click here to see the gallery or alternatively browse the links above to find out more about learning photography as part of a photography holiday abroad.